Berlin Art Week is a highlight on the contemporary art calendar in the German capital. The rich variety of the programme is made possible by the joint collaboration of institutions, galleries, artists, private collectors, and project spaces and draws international attention. For the seventh time, from 26-30 September 2018, the Berlin art scene is hosting art fairs, exhibition openings, award ceremonies, artist films, and numerous special events. Visitors can expect large-scale exhibitions on established artists as well as countless presentations in a wide range of genres by artists yet to be discovered. Once again, a main focus of attention is on the art fairs art berlin and Positions Berlin Art Fair, which this year both present their galleries in the hangars of the former Tempelhof Airport. A special focus on photography is introduced with the EMOP Opening Days of EMOP Berlin - European Month of Photography 2018 at C/O Berlin, one of many highlights of this year's Berlin Art Week. 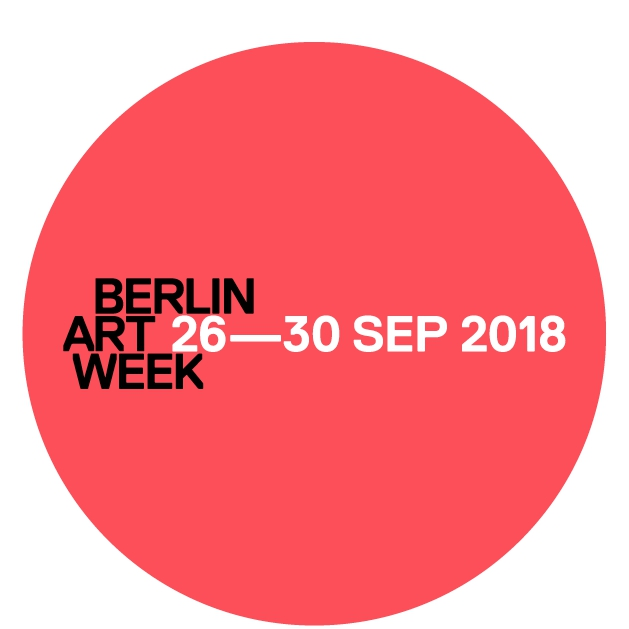 The partners of Berlin Art Week 2018 are: art berlin, Positions Berlin Art Fair, Akademie der Künste, Berliner Festspiele/Immersion, Berlinische Galerie, C/O Berlin, daadgalerie, Deutsche Bank Art, Culture & Sports, Berliner Festspiele/Gropius Bau, HAU Hebbel am Ufer, Haus am Waldsee, Haus der Kulturen der Welt, KINDL – Zentrum für Zeitgenössische Kunst, KW Institute for Contemporary Art, me Collectors Room, Nationalgalerie – Staatliche Museen zu Berlin, neue Gesellschaft für bildende Kunst (nGbK), Neuer Berliner Kunstverein (n.b.k.) and Schering Stiftung.